Implants seems to bring us one step closer to the fulfillment of another prophecy found in the Book of Revelation recorded approximately 2,000 years ago. who had the MARK of the beast and who worshiped his image. One thousand years ago, one hundred years ago, even a few decades ago, this prophecy was difficult to understand. Today with modern technology this prophecy can now be easily understood. Consider taking some time to read the Book of Revelation. You may want to acquire a good commentary to help you understand this last and final book of the Bible as clearly as possible. Chairman Mao boasted in the 1960's of an army of two hundred million men. Jesus appeared to John just before the turn of the 1st century, on an island called Patmos, off the coast of Greece. He was in his late 90's and it was at that time that John received the entire Book of Revelation. With the recent developments in Turkey over the dams being constructed on the Euphrates River, Syria and Iraq have stepped up political pressure over water rights in the region. Turkey has the ability to shut down the Euphrates River and completely stop its flow for up to eight months. This project will have 21 dams, 17 hydro-electric plants and a network of tunnels and canals for irrigation. "The prophet John foretold of a future military highway across Asia that would allow this astonishing army to march toward the final battle in Israel. John describes the building of this highway in these words: "the way of the kings of the east might be prepared' (Revelation 16:12). The Chinese government has spent enormous sums and expended the lives of hundreds of thousands of construction workers building a military super-highway across Asia heading directly toward Israel. This highway has no economic purpose and has been completed through the south of China, Tibet, Afghanistan, and Pakistan. This curious prophecy about ‘the way of the kings of the east" is being fulfilled in the 1990's, setting the stage for the final battle of this age". There are over 300 Old Testament Prophecies about the Messiah that were fulfilled by the life of Jesus Christ, God's promised Messiah, Jesus of Nazareth. There are 456 OLD TESTAMENT AND NEW TESTAMENT PROPHECIES about the Messiah that were fulfilled by the life of Jesus Christ. The reason why prophecy is an indication of the divine authorship of the Scriptures, and hence a testimony to the trustworthiness of the message of the Scriptures, is because of the minute probability of fulfillment. Anyone can make predictions, for that is simple. Having prophecies fulfilled is vastly different. In fact, the more statements made about the future, and the more the detail, then the less likely the precise fulfillment will be. For example, what is the likelihood of a person predicting today the exact city in which the birth of a future leader would take place, well into the 21st century? This is indeed what the prophet Micah did 700 years before the Messiah. Further, what is the likelihood of predicting the precise manner of death that a new, unknown religious leader would experience, a thousand years from now - a manner of death presently unknown, and to remain unknown for hundreds of years? Yet, this is indeed what David did in 1000 B.C. Again, what is the likelihood of predicting the specific date of the appearance of some great future leader, hundreds of years in advance? Yet, this is indeed what Daniel did, 530 years before Christ. If one were to conceive 50 specific prophecies about a person in the future, who one would never meet, just what is the likelihood that this person will fulfill all 50 of the predictions? How much less would this likelihood be if 25 of these predictions were about what other people would do to him, and were completely beyond his control? For example, how does someone "arrange" to be born in a specific family? How does one "arrange" to be born in a specified city, in which their parents do not actually live? Indeed, it may be possible for someone to fake one or two of the Messianic prophecies, but it would be impossible for any one person to arrange and fulfill all of these prophecies. David Greenglass was a World War II traitor. He gave atomic secrets to the Russians and then fled to Mexico after the war. His conspirators arranged to help him by planning a meeting with the secretary of the Russian ambassador in Mexico City. Proper identification for both parties became vital. Greenglass was to identify himself with six prearranged signs. These instructions had been given to both the secretary and Greenglass so there would be no possibility of making a mistake. They were : (1) once in Mexico City Greenglass was to write a note to the secretary, signing his name as "I. Jackson"; (2) after three days he was to go to the Plaza de Colon in Mexico City and (3) stand before the statue of Columbus, (4) with his middle finger placed in a guide book. In addition, (5) when he was approached, he was to say it was a magnificent statue and that he was from Oklahoma. (6) The secretary was to then give him a passport. The six prearranged signs worked. Why? With six identifying characteristics it was impossible for the secretary not to identify Greenglass as the proper contact. How true, then, it must be that Jesus of Nazareth is the Messiah if He had 456 identifying characteristics well in advance, and fulfilled them all! In fact, what does the science of probability make of this? The science of probability attempts to determine the chance that a given event will occur. The value and accuracy of the science of probability has been well established beyond doubt - for example, insurance rates are fixed according to statistical probabilities. Professor Emeritus of Science at Westmont College, Peter Stoner, has calculated the probability of one man fulfilling the major prophecies made concerning the Messiah. The estimates were worked out by twelve different classes, representing some 600 college students. The students carefully weighed all the factors, discussed each prophecy at length, and examined the various circumstances which might indicate that men had conspired together to fulfill a particular prophecy. They made their estimates conservative enough so that there was finally unanimous agreement even among the most skeptical students. However, then Professor Stoner took their estimates and made them even more conservative. He also encouraged other skeptics or scientists to make their own estimates to see if his conclusions were more than fair. Finally, he submitted his figures for review to a Committee of the American Scientific Affiliation. Upon examination, they verified that his calculations were dependable and accurate in regard to the scientific material presented (Peter Stoner, Science Speaks, Chicago: Moody Press, 1969, 4). After examining only eight different prophecies (Idem, 106), they conservatively estimated that the chance of one man fulfilling all eight prophecies was one in 10^17. Suppose that we take 10^17 silver dollars and lay them on the face of Texas. They will cover all of the state two feet deep. Now mark one of these silver dollars and stir the whole mass thoroughly, all over the state. Blindfold a man and tell him that he can travel as far as he wishes, but he must pick up one silver dollar and say that this is the right one. What chance would he have of getting the right one? Just the same chance that the prophets would have had of writing these eight prophecies and having them all come true in any one man, from their day to the present time, providing they wrote them in their own wisdom (Idem, 106-107). In financial terms, is there anyone who would not invest in a financial venture if the chance of failure were only one in 10^17? This is the kind of sure investment we are offered by God for belief in His Messiah. Professor Stoner, from these figures, draws the conclusion the fulfillment of these eight prophecies alone proves that God inspired the writing of the prophecies (Idem, 107) - the likelihood of mere chance is only one in 10^17! Another way of saying this is that any person who minimizes or ignores the significance of the Biblical identifying signs concerning the Messiah would be ignoring all mathematical and scientific logic and reasoning.. But, of course, there are many more than eight prophecies. In another calculation, Stoner used 48 prophecies (Idem, 109) (even though he could have used Edersheim's 456) and arrived at the extremely conservative estimate that the probability of 48 prophecies being fulfilled in one person is the incredible number 10^157. According to Emile Borel, once one goes past one chance in 10^50, the probabilities are so small that it is impossible to think that they will ever occur. As Stoner concludes, "Any man who rejects Christ as the Son of God is rejecting a fact proved perhaps more absolutely than any other fact in the world (Stoner, op. cit., 112)." EXAMPLE: Some estimate our known universe to span 16 billion light years. If you counted the gas molecules in 118 Million Light Years Cubed, you would have slightly over a googol molecules. The number 10^157 is only based on 48 of the 456 prophecies fulfilled by one individual. If you have ever had any doubt about Jesus Christ being who the Bible states He is, absolutely all doubt should be removed at this point. The original Temple location has been hidden and protected for nearly 1900 years. The Third Temple with its inner court will be built soon on the "greatly exalted mountain" in Jerusalem - Ezekiel 40:2; Psalm 48:1-2; 24:3; 2:6 - in the same location as the previous two Temples. According to the following prophecy, the Dome of the Rock and other structures will be left standing on the south - Ezekiel 40:2 - unharmed before, during, and after this great rebuilding project -- a Peaceful Solution! Now a peaceful solution can be seen. We now understand that The Dome of The Tablets is the actual location of the Holy of Holies. With this information the rest of the temple ground can be laid out. What we find is that The Dome of the Rock rests in THE COURT OUTSIDE THE TEMPLE. These 42 months will be the last 3 ½ years of what has come to be called the 7 Year Tribulation Period prior to Jesus' Second Coming. It is also good news for the Temple Institute, whose temple vessels and priestly robes are in storage, and whose young rabbis are presently in training for the offices of Temple Priests. Chaim Richman of the Temple Institute has architectural building plans already drawn up and says the temple could be built in less than one year. One of the first red heifers born anywhere in approximately 2,000 years was born in Israel. The heifer's owner contacted the Temple Institute, on Friday, April 5th, 2002. Rabbi Menachem Makover and Rabbi Chaim Richman traveled to the farm where the heifer is located, to inspect and validate her status. The rabbis found her to be kosher and were satisfied that this heifer could indeed be a candidate to be used in the process of purification described in the book of Numbers, chapter 19. 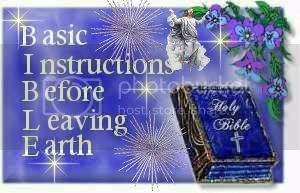 This is a prerequisite for the rebuilding of the Holy Temple. Recently there have been a few pure red heifers born that eventually grew some black or white hairs which disqualified them. Some feel that Red Heifer Ashes were hidden from the time of Jeremiah the Prophet and will surface, in these last days, to be used to purify the 3rd Jerusalem Temple. Jews today are still being gathered back to Israel. On Sunday, April 4, 1999, at the semi-annual"Priestly Blessing" ceremony at the Western Wall, a booth was erected nearby for the genetic testing Kohanim (priests), to see if they have what is now called "The Priestly Gene". Two years ago, an American geneticist found that all Kohanim's share a common gene, supporting the belief that they have one common ancestor (presumably Aaron the Priest). Rabbi Nachman Kahane, said that 17 Kohanim's have already been tested. Thirteen tested positive, one negative, and three cases were inconclusive. i think that the antchrist is the son of kaddafi! just a thought that i believe since 1983!! Goodnight Sister Def - Sleep Well. China currently has 7,024,000 active duty personnel but they have an availability of 281,240,272 according to CIA 2005 conservative figures. It is also estimated that there is over 13 million more that are reaching military age each year in China. The time is ripe. The Temple Institute's latest project, the construction of King David's lyre, was completed just this year bringing to a close all that is necessary to reinstitute the temple and temple worship with the exception of the Ark of the Covenant. The corner stone of the new temple has been selected and is ready for installation. The incense used required a specific mixture of which no one had the precise "recipe" required until just recently when a vast amount of it was found in a Qumran dig. It was believed that the hiding place of the Ark was said to have been located but there has been all sorts of uncontrollable blocks that have been preventing the further search in that area for it. It is the same area in which the incense and other temple artifacts were found. If it is there then I am sure that this hold up is due to it not yet being the correct time for it's presentation. It does appear that the time is nearing though. Brother, all of these events put together is like being hit in the head with a 2' x 4' and hearing someone say, "Wake UP!" In fact, I think that many threads already on Christians Unite point to the same thing. The time is getting short, and ALMIGHTY GOD will soon pour out HIS Righteous Wrath on evil. In terms of the time being "short", there are many ways to define this. This life is "short" for us any way we look at it, and we have no idea what might happen in the next hour or day in terms of health, accidents, natural disasters, etc. However, it should also become apparent that the remaining time in this Age of Grace is also getting short, regardless of how long we physically live. Time is an important factor to consider for the lost and for the Saved. For the Saved, we should know that we don't have unlimited time to witness to our friends and family. For the lost, they should know that NOW is the time to accept JESUS CHRIST as LORD and SAVIOUR. It just isn't wise to keep putting this decision off. People physically die all the time when nothing was expected. The number of causes are almost unlimited. At the best, this short life is very uncertain, and important decisions should not be put off. We have all kinds of examples recently where people have died in floods, storms, violence, and you name it. Many of them were "absent from the body and present with the LORD". Sadly, many of them died in their sins without hope. Regardless of how they physically died, it's too late for them to make decisions now that impact their ETERNITY in either Heaven or Hell. What could be more important than this? - NOTHING! My Note: You will need a background of studying Bible Prophecy to appreciate this document. Regardless, you will assign a value of somewhere between "Great" and "None". I'll simply suggest that you study the listed portions of Scripture. Excellent study in Biblical Prophecy brother. In fact, I think that many threads already on Christians Unite point to the same thing. That is what I've been trying to show, in the "Prophecy - Current Events" forum. In also know Pastor Roger has been trying to show in the "Politics and Political Issues" forum the same thing. Though none of us know when, the Father calls us home. Matthew 24:36 But of that [exact] day and hour no one knows, not even the angels of heaven, nor the Son, but only the Father. Brother this are links on Tribulation, they are in my web pages, in my sigline. Looking at this, I really need to reorganize my web pages. Brother, we do have a fascinating collection of events and facts to show that the Age of Grace is near to the end. In fact, things appear to be escalating and accelerating by the day. I'm thinking back to many lengthy studies done by many sweet Christians who really reached the same conclusions. It's now almost a matter of common sense and comparing world events with Bible Prophecy. However, most of the world doesn't appear to be paying any attention. In fact, the RUSH appears to be hastening away from GOD - NOT toward GOD. BUT, people are still accepting JESUS CHRIST as LORD and Saviour, so the harvest isn't over yet. I many times wonder what percentage of Christians realize the time we are living in. It's a fascinating time to watch, listen, and study as fact after fact is being confirmed from the Holy Bible. I'm talking about discoveries of a scientific nature that are providing PROOF right now that the Bible is TRUE. It's sad that many of the lost are running too fast in the other direction to notice. I have a several more documents that are very brief and bold that I would like to post. At least one is like a time chart, and I'll have to work on a way to post them. GOD has shown us many things through the ages, but I don't know if mankind was paying attention at the time. In fact, we see repeats of similar situations with mankind not paying attention. Common sense has shown that we can learn much from history, but how much attention has the world shown to Bible History? The world is still arguing about what the Bible is, much less learning from the recorded Bible History. World Time is set by the life of CHRIST, yet many are still arguing about whether HE is real over 2,000 years later. The single most important thing is knowing JESUS CHRIST and knowing that you belong to HIM. Lot's of people have never studied Bible Prophecy, and lots of people have rejected JESUS CHRIST. If I remember correctly, you've said many times that JESUS CHRIST is your LORD and you belong to him. There is nothing more important. Brother David, I want to quote a portion of Scripture from the Apostle Paul. I think that he was a great Bible Scholar, and he spent a good portion of his life learning the Old Testament. However, he first rejected CHRIST and persecuted Christians. ENJOY - I think this is one of the most beautiful portions of Scripture in the Bible. 1 Corinthians 2:1 And when I came to you, brethren, I did not come with superiority of speech or of wisdom, proclaiming to you the testimony of God. 1 Corinthians 2:9 but just as it is written, "THINGS WHICH EYE HAS NOT SEEN AND EAR HAS NOT HEARD, AND which HAVE NOT ENTERED THE HEART OF MAN, ALL THAT GOD HAS PREPARED FOR THOSE WHO LOVE HIM." 1 Corinthians 2:15 But he who is spiritual appraises all things, yet he himself is appraised by no one. 1 Corinthians 2:16 For WHO HAS KNOWN THE MIND OF THE LORD, THAT HE WILL INSTRUCT HIM? But we have the mind of Christ.